One of my best friends is a giant nature person and she loves birds, so I decided to do a bird storytime for my preschoolers! We started off with “Birds” by Kevin Henkes. We had a much larger group of 4/5 year olds this time around, so I decided to stretch storytime a little bit longer. This is big, colorful book just perfect for storytime. I love Henkes’s illustrations but sometimes his stories aren’t so linear — and that’s the case with this one. But because I used it first, it really gave the kids a primer for all the different kinds of birds we were going to see throughout storytime. They really enjoyed the “surprise” layout in the book as well. Next up, a perennial favorite of my staff, “Grumpy Bird” by Jeremy Tankard. This book has such a great pattern and repetition that I definitely had some kids call out, “Walking!” after an animal asked Grumpy Bird what he was doing. We had great attention skills while we read this book (I think probably because the pictures are so bright and commanding), I almost hated to break away to do some action rhymes and my flannelboard. 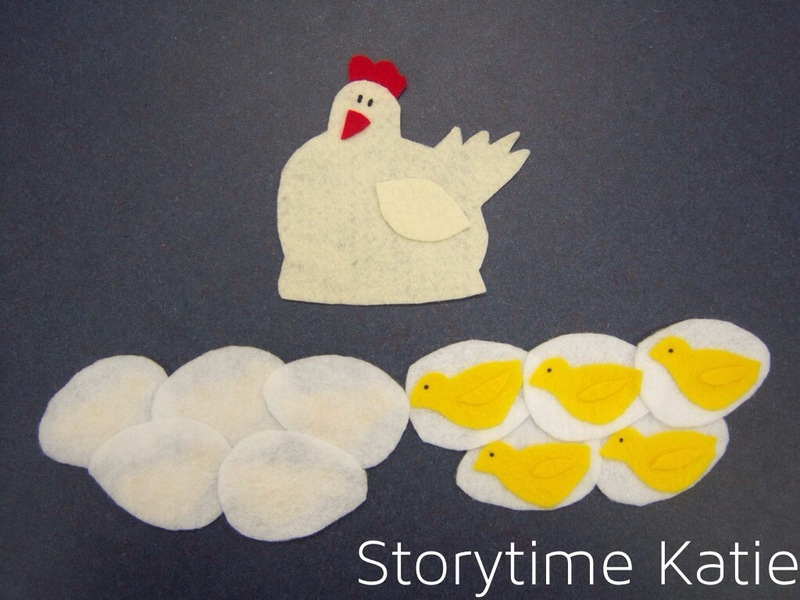 Two very enthusiastic thumbs up to this action rhyme — the kids loved pretending to be birds! And then after we sat down, we did this amazing flannelboard that I found on Mel’s Desk – Farm Storytime. The clip art is from Microsoft Office, and the flannelboard is super easy to make. I did it in about a couple of hours. We did our flannel twice (yay repetition!) and then we read “Pepito the Brave” by Scott Beck. Very simple, but effective story about a little bird who’s scared to fly and instead hops, climbs, swims, etc. to get where he’s going. My only hesitation with using this book again is that the book is a small size, so it did require a lot of book panning with my large group. Next up, “Who Will Sing a Lullaby?” by Dee Lillegard. This book has a ton of variety in the kinds of birds trying to get a baby to sleep. The kids were very calm during this story, happy to listen. And, of course, the kids practiced their weekly “Head, Shoulders, Knees, and Toes” before launching into the last story of the morning: “I’m Not Scared” by Jonathan Allen. After storytime, we made a bird puppet craft. Super simple; found the bird template at Danielle’s Place and just glued feathers all over it. My teen volunteers had already prepped the craft by tacky gluing the popsicle on so that no one had to wait until the stick dried to play with their puppets. I love how you did the flannel–it looks great! Stealing this for my upcoming birds storytime! Hi again, It’s Carolyn from Danielle’s Place. I just sent you the email about changing the link. I was wondering if I could use your picture on Danielle’s I would place it next to the bird craft and then refer back to your blog. I would be happy to include a plug for your blog. I love crafts that go along with stories. I have also developed crafts to go along with children’s books. Absolutely! I will update it as soon as I’m back at a computer! My favourite is hearing their squeaky “high” voices in the third round, but my kids all love love love the Fast/Slow version.